This week’s activities resulted in a number of people accessing Cone. 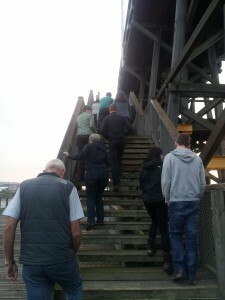 On Tuesday evening, residents of Staiths South Bank self-organised a tour of Cone, kindly supported by TWBPT. Thirteen people were treated to a fabulous sunset over the River Tyne. The sun setting behind Cone, 9th September 2014. 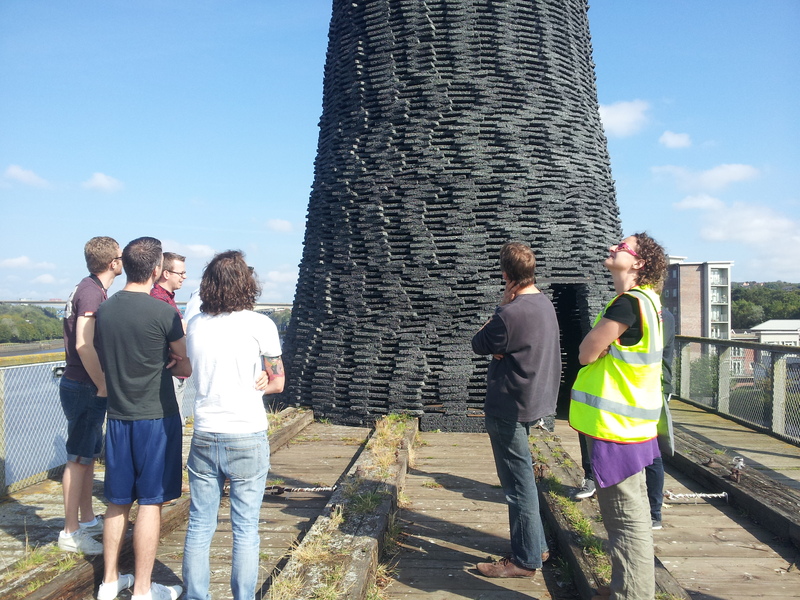 On Wednesday, nine people came to on an artist-led tour to find out more about Cone. For some of the people that attended, visiting Cone and hearing the artist speak about it meant that the art work made much more sense to them. People asked lots of questions about Cone – how long will it last? Where will it go once it has been dismantled? What is Aquadyne used for? And, of course, there were queries on what the future holds for Dunston Staiths. Luckily we had the Tyne and Wear Building Preservation Trust activity manager to provide some answers! We’d post more pictures on this, but it’s better to link you to Ken Fitzpatrick’s Flickr stream, which he took after touring Cone on Wednesday afternoon. 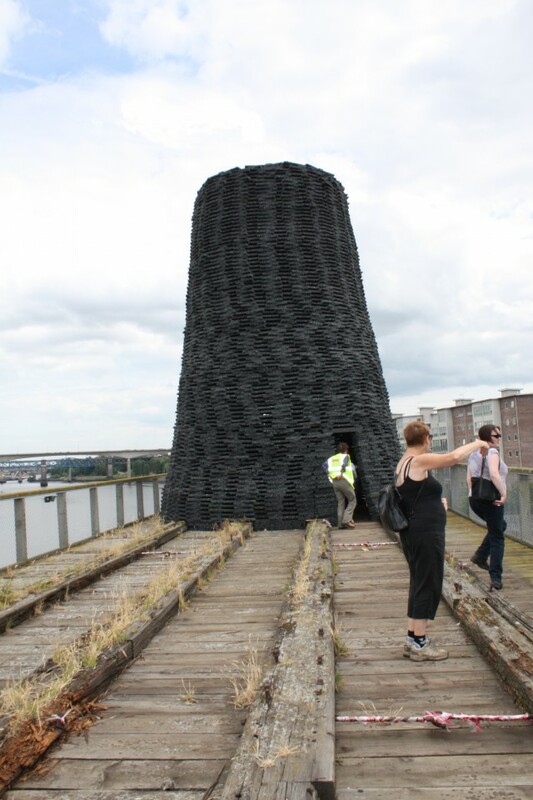 If you missed these events, you can still get a decent view of Cone from the western end of Dunston Staiths this coming weekend. Stout shoes/boots should be worn, as surfaces are uneven. 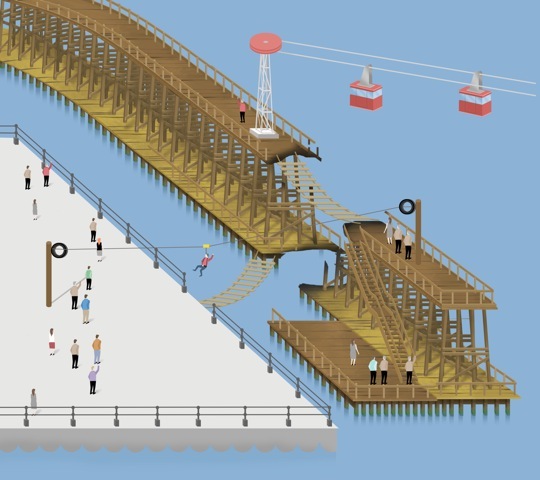 While a loop of the Staiths will be accessible, lower and upper levels are linked via stairs. Access may be restricted due to poor weather and ongoing restoration work. - See more by clicking here. 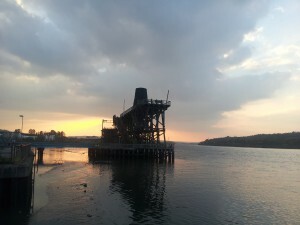 A Grade II listed timber structure on the River Tyne is to be restored. The Dunston Staithes in Gateshead played a crucial role in the transport of millions of tons of coal. The Heritage Lottery Fund has awarded almost £420,000 to restore the landmark and open it up to the public for the first time….